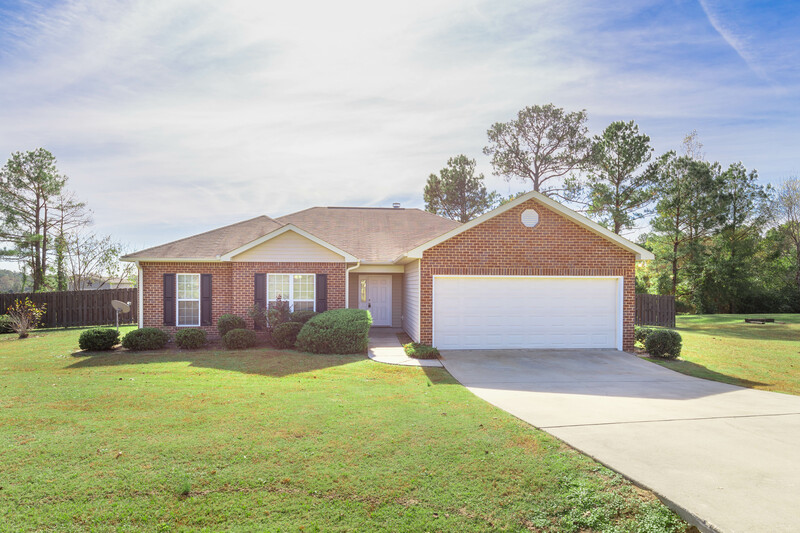 Amberbrook s/d is a quaint neighborhood nestled in Lee Co w/ a relaxing "country living" vibe & an easy drive to all your favorite conveniences (quick access to Columbus/ Phenix City & Auburn/ Opelika). While this subdivision gives you the community feel you love, the back yard will transport you to your own getaway! Overlooking a beautiful view of open space, rolling pasture, shady trees (even some cows), you can enjoy farmhouse style without the hard work! Well maintained & move in ready! This home has fresh updates- w/ new carpet & paint throughout! The living rm is spacious & is open to the kitchen w/ sleek black appliances, tiled backsplash & two dining areas (one could even make an office space!) The master is large w/ private bath (dbl vanity, separate tub/shower). The additional 3 bedrooms are spacious. The covered back patio w/ custom pergola is the perfect spot to unwind!